The Hippopotamus is a very large animal that spends time both in the water and on land. Due to their large size they are able to conserve energy and to move faster in the water. They have very small ears, large teeth, and a small curly tail. 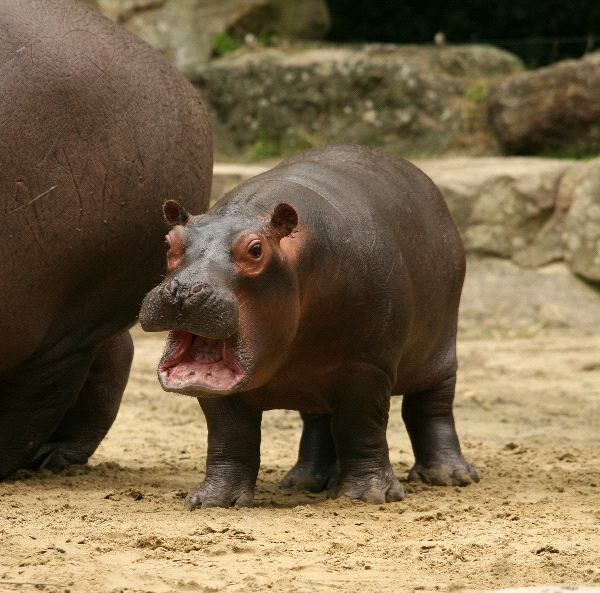 There are two species of the Hippopotamus and it is the third largest land animal in the world. The Hippopotamus tends to live in groups in the wild with up to 30 of them. They may spend time in the water to cool off during the day as the skin is sensitive to the sunlight. They feed at dusk on the grass around them. They can be very protective of their young and will attack. They may weigh up to 3.6 tons so they are very powerful.